She’s rolling a joint, she’s hitting it twice, she’s going to find out who’s naughty or nice. Mary Jane is coming to town! With the holiday spirit in full-swing, cannabis lovers everywhere are rejoicing as 4/20 is approaching quickly. Although it is not recognized by the United States government as a federal holiday, April 20th is celebrated globally from places such as Canada, Austria, the United Kingdom, and of course the United States of America. Though the pleasant prominent plant has been smoked by human beings for thousands of years, the code 420 was first coined by a group of San Rafael High School teenagers in 1971. The teens, which referred to themselves as “the Waldos,” would meet after school and sport activities at 4:20 p.m. to smoke marijuana together at a statue of Louis Pasteur, a French biologist who lived in the 19th century. The statue of Mr. Pasteur was located at San Rafael High School. The Waldos used the code 420 in reference to smoking pot so that others would be clueless to what they were talking about. Following in the foot-steps of the Waldos, potheads and stoners from all around now gather on April 20th to ingest, inhale, and imbibe the sticky substance publicly. However, despite the recent legalization of recreational marijuana in few states including California, Nevada, Massachusetts, and our very own Colorado, it is fallaciously assumed that public consumption of cannabis is legal. Other popular incorrect presumptions surrounding the frosted plant that people should be aware of include that everyone in Colorado smokes pot, therefore public intoxication is allowed and that medical marijuana card-holders are able to drive under the influence with less legal risks (neither are true). Whether you live in colorful Colorado or are just visiting for the holiday, there is an abundance of events sure to boost your high this 4/20, open to the public and grass lovers alike. 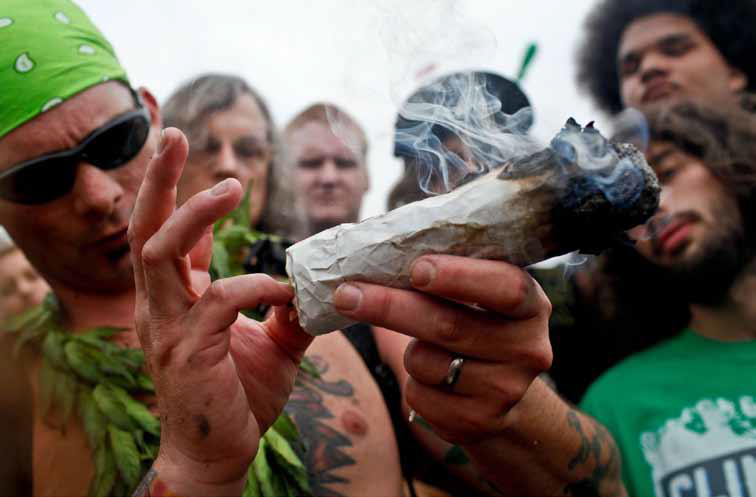 Although the annual High Times Cannabis Cup, the world’s most extensive weed expo is being held in Southern California during the upcoming 4/20 weekend, Coloradans and visitors can still light one up and rejoice in the presence of world-famous musical performances. Kicking off the festivities on 4/19, hip-hop / rap enthusiasts can catch the legendary Method Man & Redman headline “420 eve on the rocks” at Red Rocks Amphitheater in Morrison along with Flatbush Zombies and Curren$y. If your pockets are running on empty this 4/20, a vast majority, if not all of medical and recreational dispensaries in Colorado will be having door busters sure to make anyone feel like a kid in a candy store. On the day of 4/20, worldfamous DJ Flosstradamus will be bringing his fistpumping, fast-paced electronic dance music to Red Rocks while the famous rapper / trapper Gucci Mane will be performing on his first national tour the same night at the Ogden Theater, located on East Colfax Ave in Denver. Finally, finishing off the weekend musical celebrations, make your way back to one of the world’s most praised amphitheaters for a performance from the grandmaster himself Snoop Dogg accompanied by weed aficionado Wiz Khalifa on Sunday, April 23rd. Nevertheless, when going out this 4/20 weekend, remember to spread the true origin of the holiday, shake what your mother gave you, have fun within legal parameters, and most importantly; stay safe.